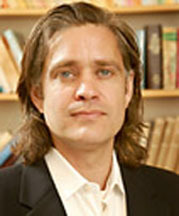 Areas of research and teaching include religion and modern philosophy (especially German idealism, phenomenology, hermeneutics, and deconstruction); the history of Christian thought and culture (with special interest in the traditions of mystical and negative theology, as well as relations between theology and the emergence of modern science and politics); and religion, modernity, and post-modernity (with special interest in secularization, religion and politics, and the religious dimensions of technological culture). The Indiscrete Image: Infinitude and Creation of the Human. Chicago: University of Chicago Press. Indiscretion: Finitude and the Naming of God. Chicago: University of Chicago Press, 1999. “Blindness and the Decision to See: On Revelation and Reception in Jean-Luc Marion,” in Kevin Hart, ed., Counter-Experiences: Reading Jean-Luc Marion. South Bend: University of Notre Dame Press, forthcoming. “Modernity and the Mystical: Science, Technology, and the Task of Human Self-Creation,” in James Proctor, ed., Science, Religion, and the Human Experience. Oxford: Oxford U. Press, 2005. “Unlikely Shadows: Transcendence in Image and Immanence,” in Regina Schwartz, ed., Transcendence. New York: Routledge, 2004. “Locating the Mystical Subject,” in Michael Kessler and Christian Sheppard, eds. Mystics. Chicago: University of Chicago Press, 2003. “Postmetaphysical Theology,” in The Cambridge Companion to Postmodern Theology. Cambridge: Cambridge U. Press, 2003. “And Maker Mates with Made: World- and Self-Creation in Eriugena and Joyce,” in Clayton Crockett, ed., Secular Theology, Routledge, 2001. “Converting the Given into the Seen: Introductory Remarks on Theological and Phenomenological Vision,” introduction to The Idol and Distance, New York: Fordham University Press, 2001. “Apophatic Analogy: On the Language of Mystical Unknowing and Being-toward-Death,” in Walter Jost and Wendy Olmsted, eds., Rhetorical Invention and Religious Inquiry, Yale University Press, 2000. “Consuming Desire’s Deferral: A Theological Shadow in the Culture of Image,” in Parallax, vol. 5, no. 1, 1999. Translation: The Idol and Distance (by Jean-Luc Marion). New York: Fordham University Press, 2001. Translation: Reduction and Givenness: Investigations of Husserl, Heidegger, and Phenomenology (by Jean-Luc Marion). Evanston: Northwestern University Press, 1998. Translation: God Without Being (by Jean-Luc Marion). Chicago: University of Chicago Press, 1991. RS 224: Sacred/Profane (a seminar co-taught with Roger Friedland, on the religious dimensions of ostensibly secular phenomena, including science and technology, politics, economics, etc.